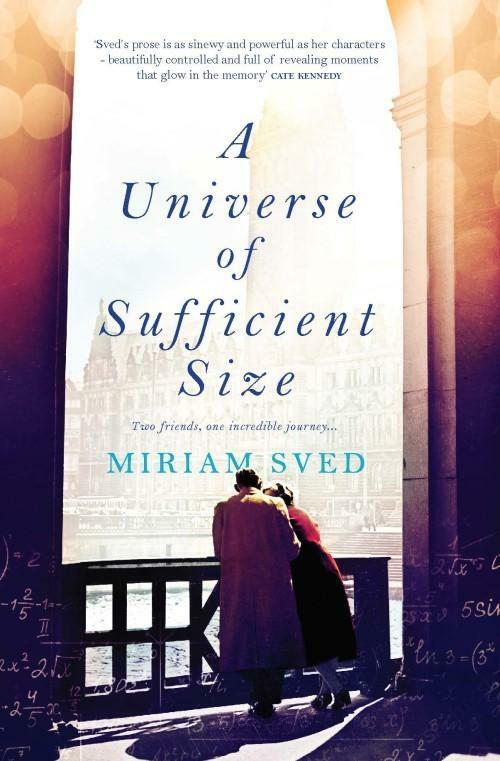 With her second novel, A Universe of Sufficient Size, Miriam Sved again demonstrates her ability to write about highly specific human preoccupations in a way that renders them interesting and engaging to the previously uninterested or unaware reader. Her debut novel, Game Day, as noted by our reviewer at the time of its publication, requires no knowledge or even interest in its underpinning context – AFL, football generally, or even sport – for it to be enjoyed. The same can and will be said about A Universe of Sufficient Size, which is a story about friendship, family and trauma that is founded upon pure mathematics. A premise so esoteric could be alienating or off-putting, but such is Sved’s skill that even a reader with an active dislike of maths is likely to be beguiled by her characters’ affinity for numbers and enthusiasm for their potential. While maths is an essential link between the characters and across the generations, there is more to this novel. In fact, it is inspired by a true story from Sved’s own family. Set between 1930s Budapest and late 2000s Sydney, with a few peeks at 1950s Brooklyn, A Universe of Sufficient Size is a tale of the plight of a group of brilliant, Jewish university students in Nazi-enthralled Europe, and of the echoing consequences of their experiences and decisions. It follows Illy, both daughter and mother, as she orbits an unexpected mystery with faint dread. Gradually, she joins the dots between the generations and tries to make sense of revelations in the aftermath of her father’s death. However, she’s not the only one in the family grappling with surprising ideas that could affect them all. A Universe of Sufficient Size is a moving tale of deep humanity that couldn’t come at a better time. Elke Power is the editor of Readings Monthly.